Back in my digital days, we’d ‘step back’ every six months to to review progress against plans and it still seems to be a useful habit. A lot has changed! 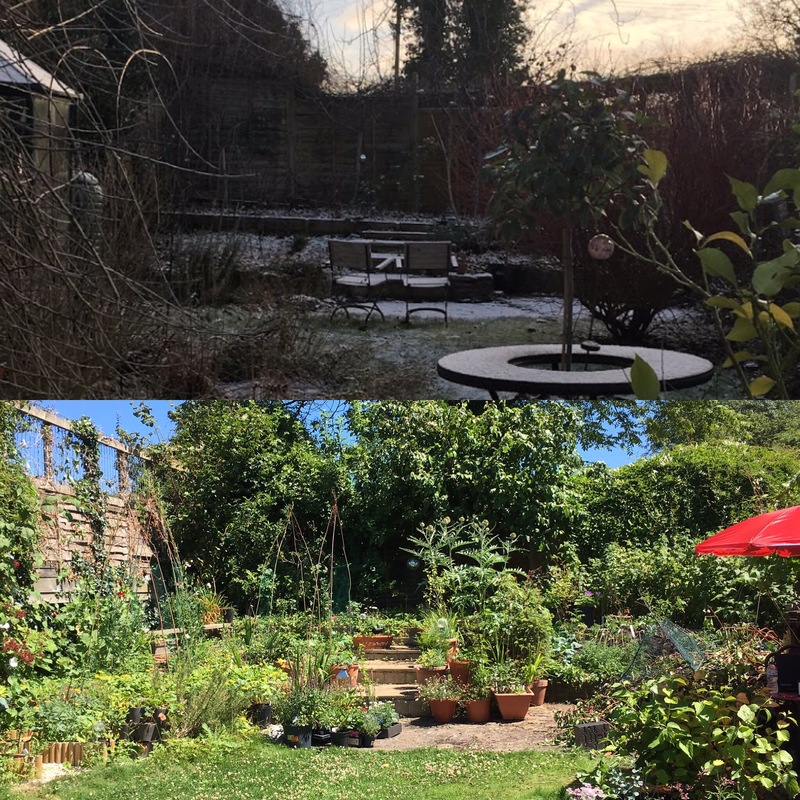 Six months back, in January, we moved from London to Frome, with an idea that I’d take some time out to develop a market garden, which would hopefully generate enough income so that I don’t have to go back to work in an office, which had been driving me (a bit) round the bend. The weather was very frosty at first. It took a few weeks for the soil to unfreeze. 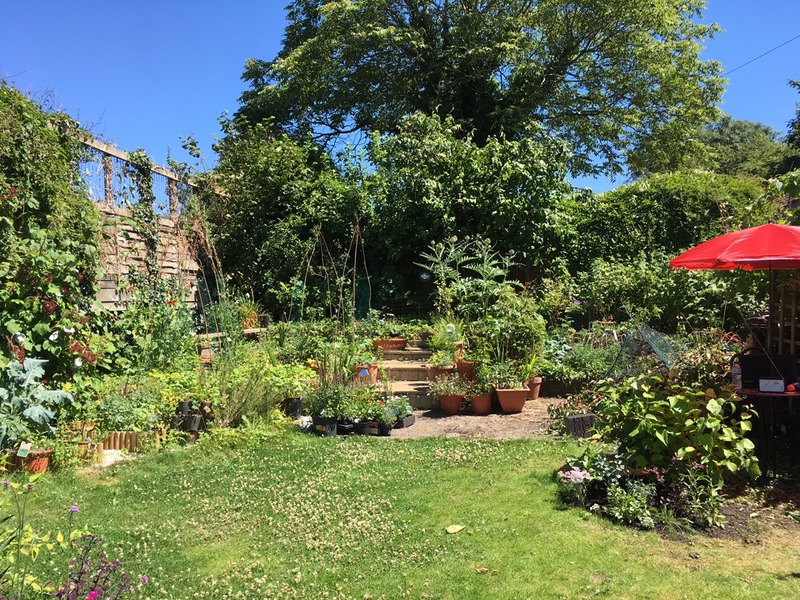 This Blog, Doing the Plan, was originally subtitled ‘more strawberries and fewer spreadsheets’ then ‘out of the office and into the garden’ and finally ‘weeding and seedlings’ as the plan started to fall into place. I’ve kept one spreadsheet maintained, with an outline of planned activities for each month. And overall, I’m pleased with the status report at six months, lots of green indicates that lots of things have been done. 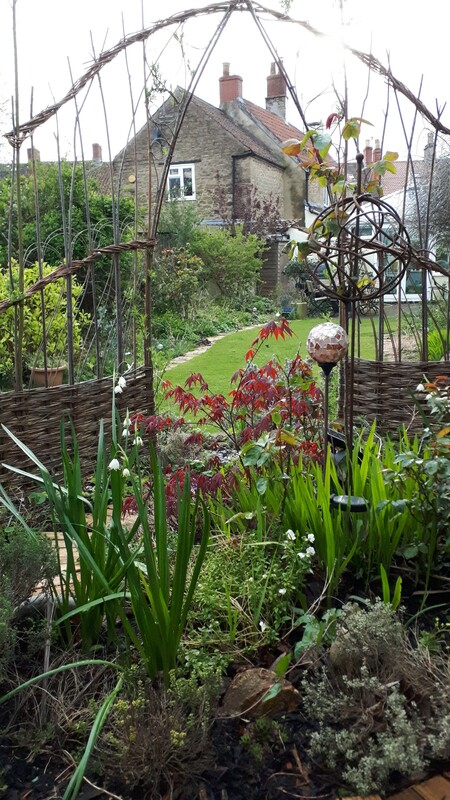 This is the garden today. Still very much a work in progress, but much brighter than before. 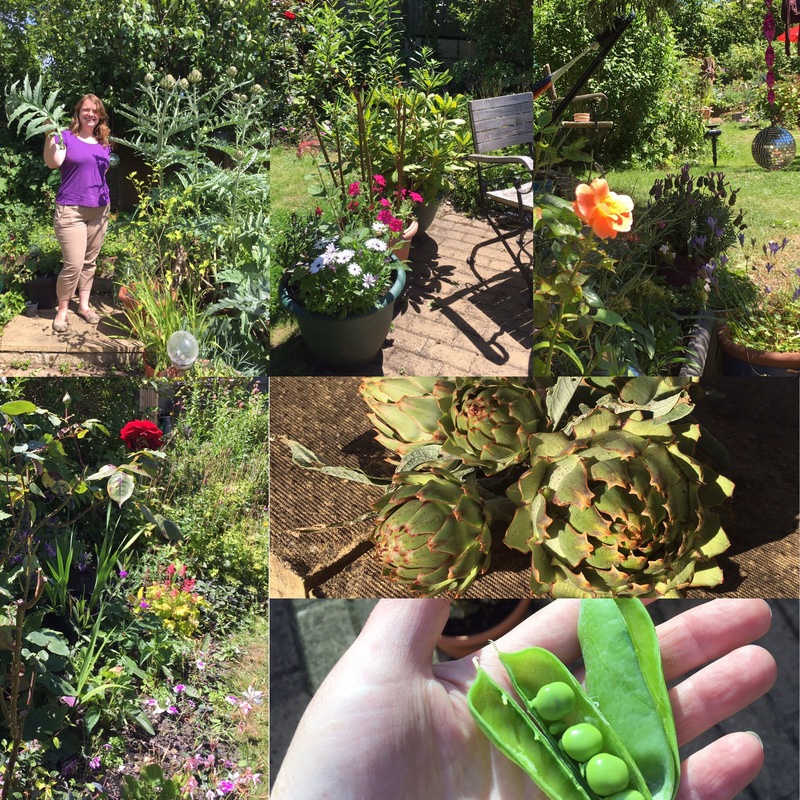 Harvest highlights so far are artichokes, peas and raspberries. 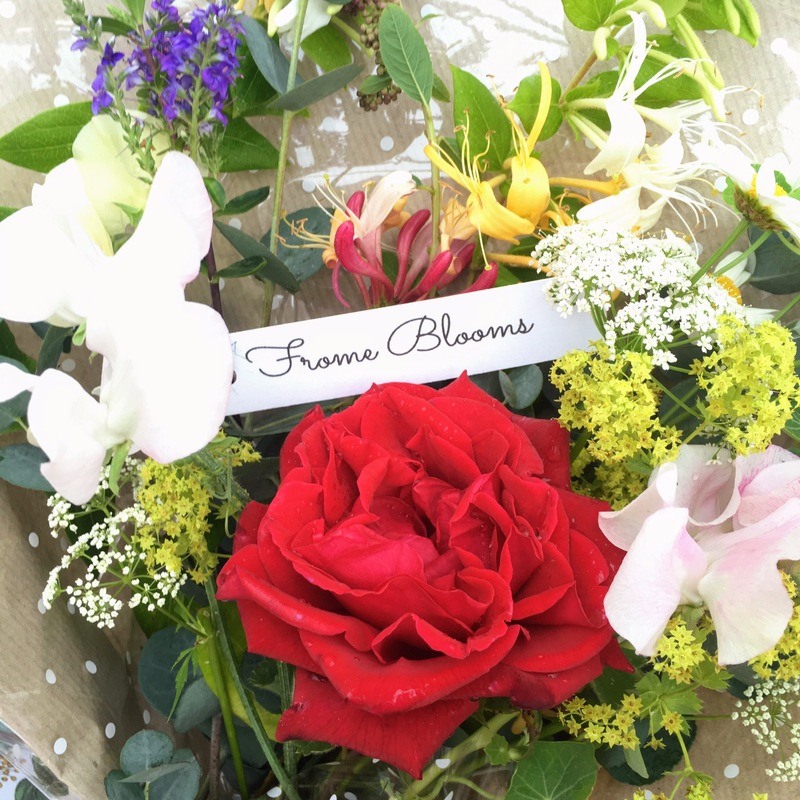 I’ve started an online flower shop, called FromeBlooms, to sell bouquets from the garden. 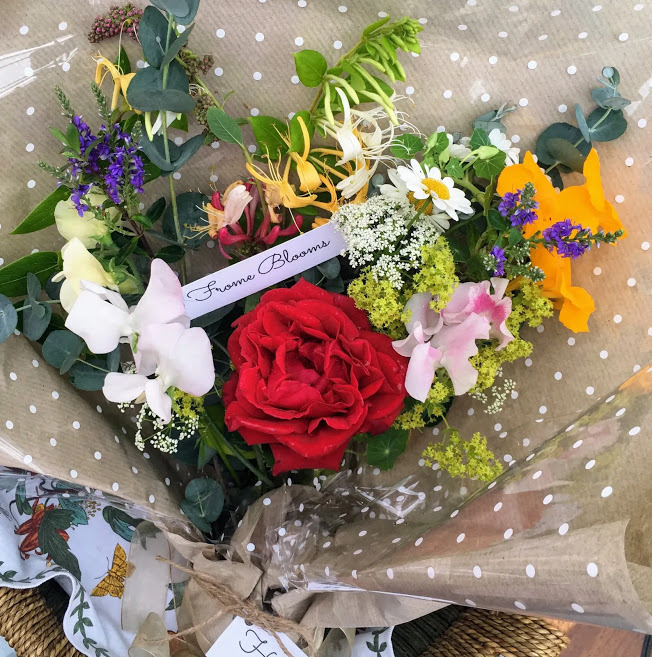 I’ve sold a few bouquets to friends and family, and produced some pretty images and videos that I’m starting to promote with paid adverts on facebook. So overall, I’m quite pleased with how much I’ve got done in the first six months here…I’m a long way from having a profitable market garden, but I hope to be headed in that direction. I’ve managed to make some cash at a market stall at the Frome Independent, but so far the costs outweigh the income. Over the next few weeks I’m going to jot down a few more plans for the coming months, as well as setting out a few principles that are important to me. 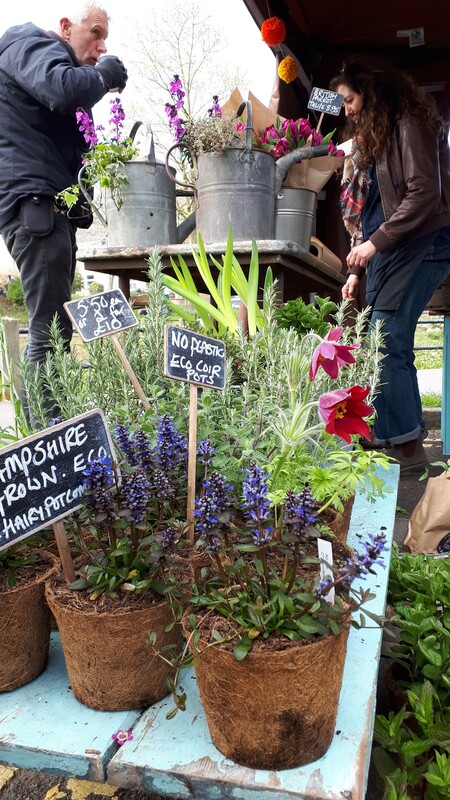 Some that spring to mind are about sustainable gardening, working with nature to welcome the bees and the butterflies, and tolerate the slugs. 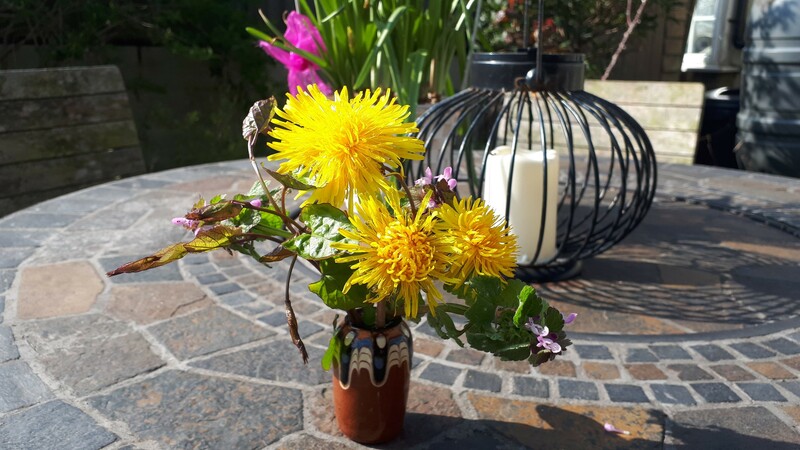 I don’t want to use artificial fertilisers, or pesticides, and I’m trying to reduce consumption of single use plastics, and reduce, reuse and recycle where-ever possible in the garden. 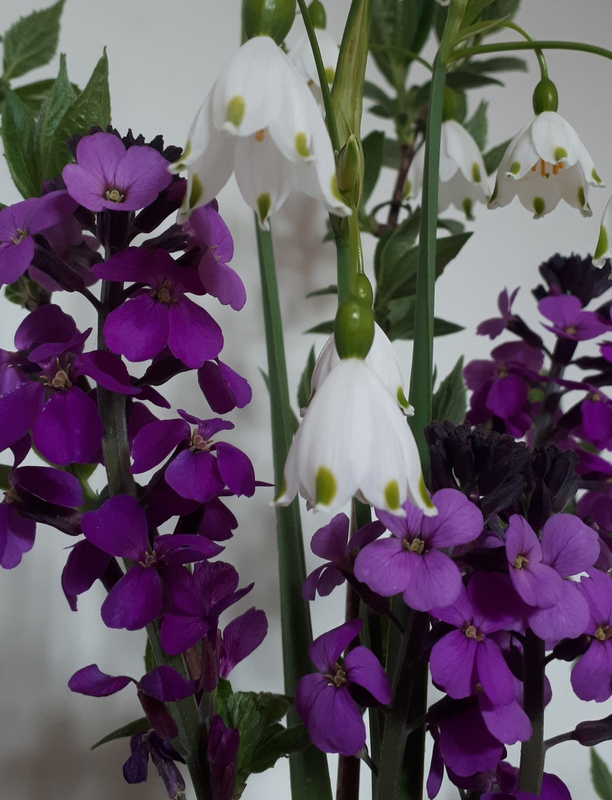 I hope that it will be possible to sustainably produce beautifully scented cottage garden bouquets through spring, summer and autumn, and I plan to take a break in winter. Meanwhile, I’ll crack on. I hope your garden plants and plans are coming along nicely.